The house building process starts by finding suitable development land, which is the responsibility of the Land Department, headed-up by a Land Director or Land Manager. 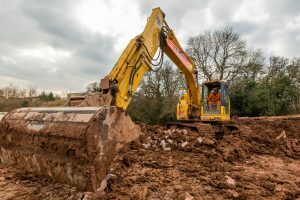 The company will buy land with or without planning permission, but the development potential of the site is always established before the bidding process commences. Usually a Land Buyer will identify suitable land and then undertake a technical and financial appraisal of it to establish the development potential and value. An appraisal of the land includes liaising with other specialists and consultants such as Planners, Architects and Engineers. 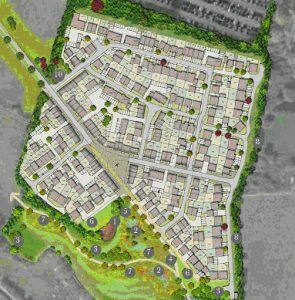 Planning status, layout design, highway criteria and drainage will be verified, all of which enables the Land Department to undertake a theoretical development of the site prior to purchase. A financial appraisal of the site, including a cost estimate and a sales projection will be completed prior to negotiating the purchase of the land.